Not all houses are spacious enough to accommodate all your belongings. And while finding a place for everything is important, it is equally beneficial that you make the best of all the space available while keeping things in order. These days, using under-stairs space is becoming more of an exciting project than a mere chore of filling it with random furniture that will fill the gap. If you too want to maximize the space under your stairs, here are five brilliant ways you can transform it into something more functional and decorative. A house with a narrow entryway may yield too little space for a coat hanger or fresh linen, but the space under the stairs can give you enough room. Turn it into a closet and arm it with bars and hooks for hanging coats, hats, and umbrellas. You can also turn this space into a shoe closet, especially if you're the type who prefers to wear shoes the last and on your way out. Throw in sturdy racks or organizers that will allow you to see everything in one go. You can also install a full-length mirror behind the door of the closet so that you can check how you look before you leave the house. 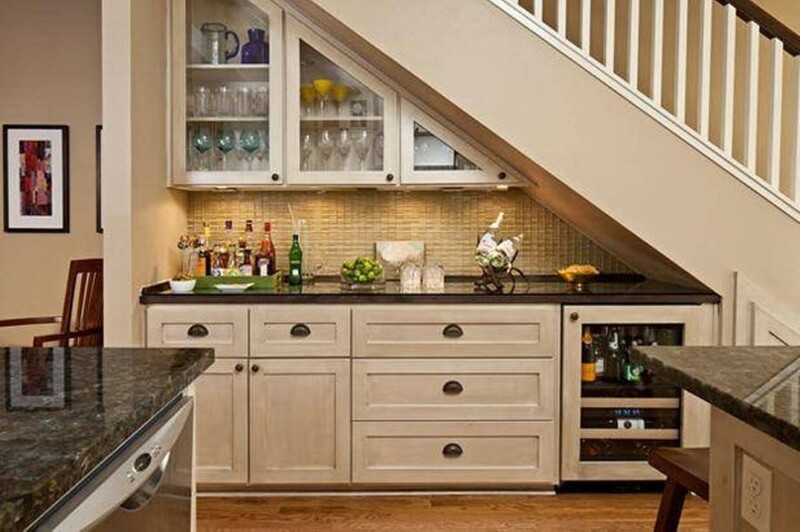 If you have a fascination with good wine and like buying a bottle or two during trips, make your wine collection accessible by turning the space under the stairs into your cellar. You can either put up a simple yet sleek shelf for wine bottles. However, if you want to make this space an extension of your entertainment or living area, you can have a mini bar installed complete with a sink and cabinets. Make the loo more accessible to guests by converting under the stairs space into a chic bathroom. You can install a wall-mounted toilet and a sink, as well as wall mirror and bar handles to complete the room. If the space permits, you can also put up shelves for clean towels, toilet paper, and soap to make replenishing easy. To make it even more stylish, decorate the walls with mosaic tiles and set a few ornaments such as vases for fresh flowers. A bibliophile's dream doesn't stop at acquiring more books. It extends to being able to enshrine every piece in the collection by building a wall of books and admiring the view. 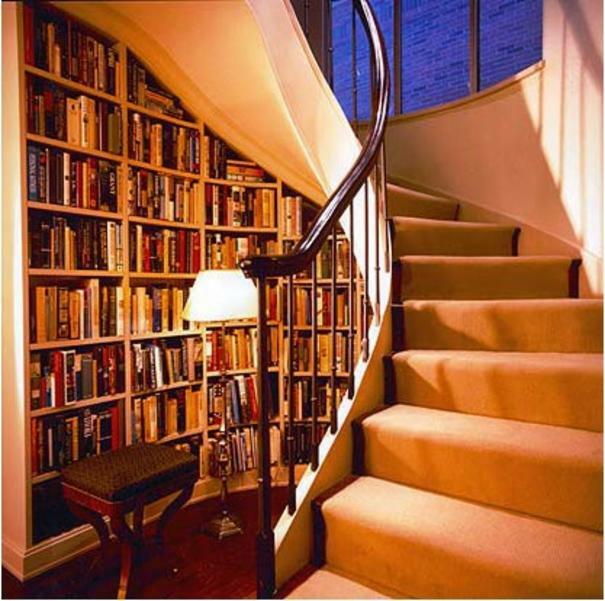 If you want an alternative to the usual library or you're simply running out of room to spare, turn your under-stairs space into a library. Get artistic with your books and arrange them according to spine colors to give the room character. Add function to this beauty by throwing in a couple of beanbags or a comfortable chair and lamp to make the area conducive to reading and relaxation. Biking aficionados need not worry anymore if they don't have enough space outside to park their two-wheel drives. 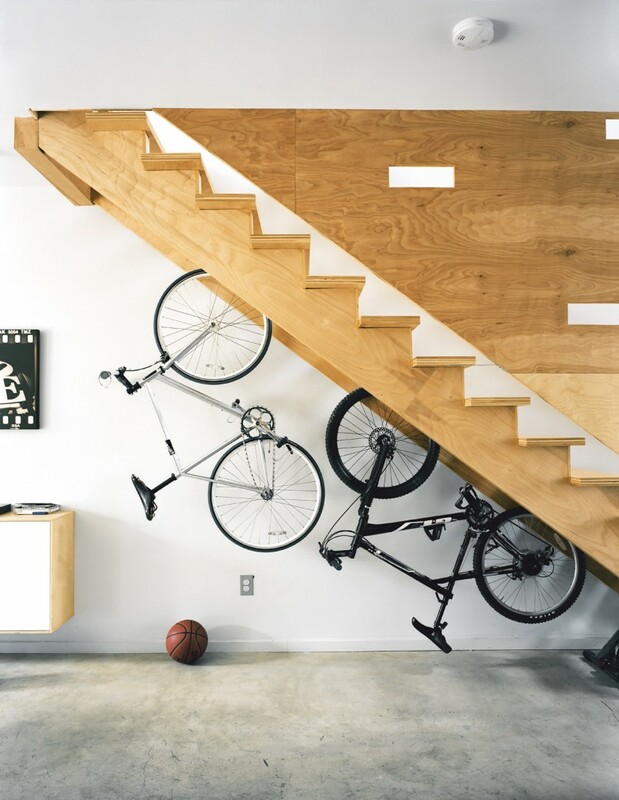 As long as you have room under the stairs, you can get yourself a neat bike rack. Use hooks sturdy enough to support your bikes and let them double as home decor with a personal touch by letting them hang in plain view. Give your home an amazing touchup with these projects and make under the stairs your new favorite room in the house. If you have more ideas on how you transformed the space under your stairs into a more efficient nook in the house, share them with us in the comments!